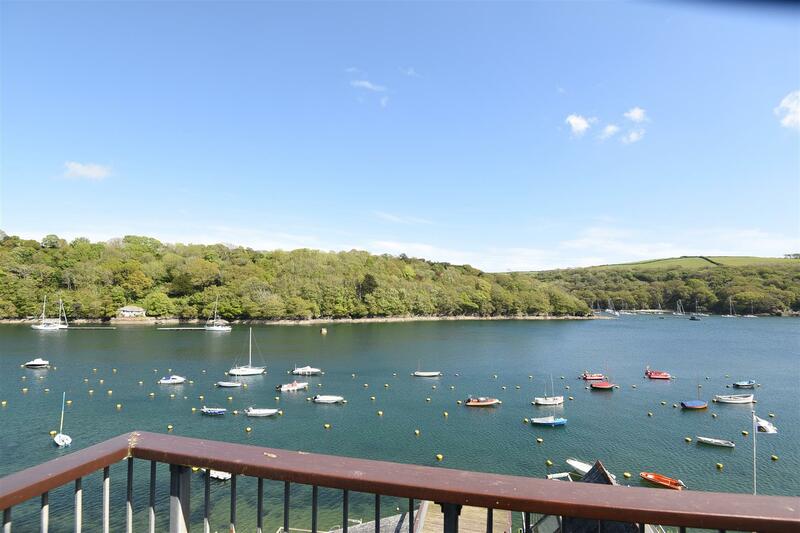 Exceptional waterfront townhouse enjoying the most magnificent panoramic views of the river, a vast entertaining outside deck, 4 bedrooms and the highly unusual combination of slipway and frape mooring. 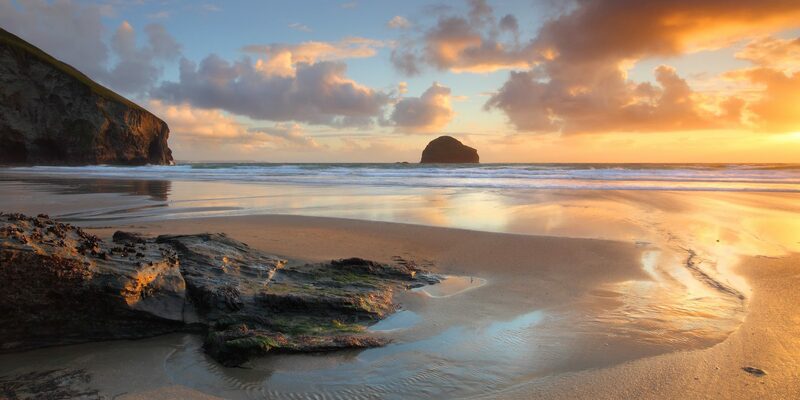 This is a very rare offering indeed! 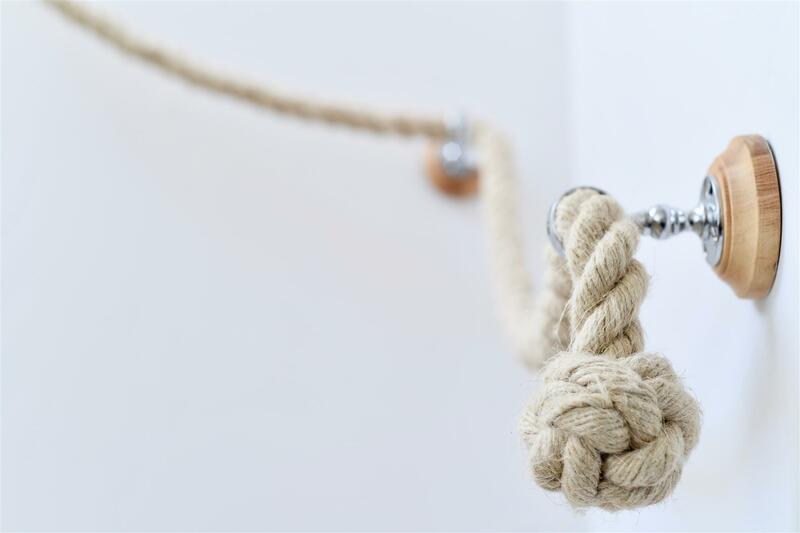 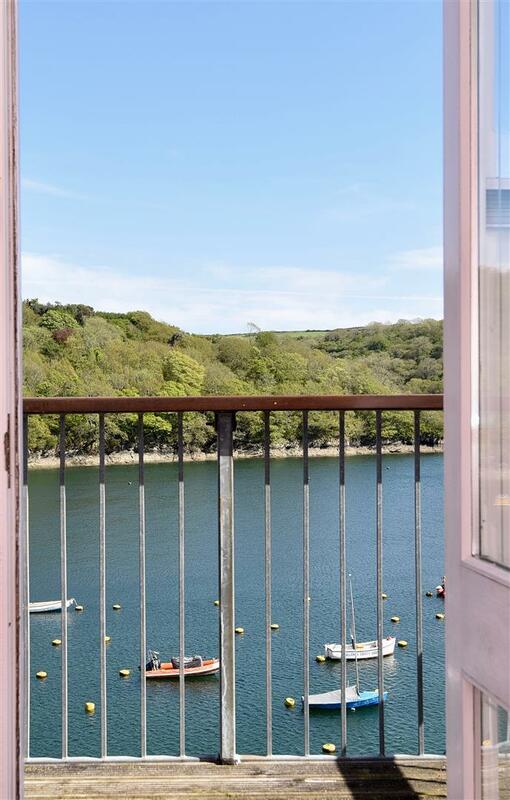 This intriguing and highly appealing contemporary property is located just away the vibrant heart of the waterside town of Fowey. 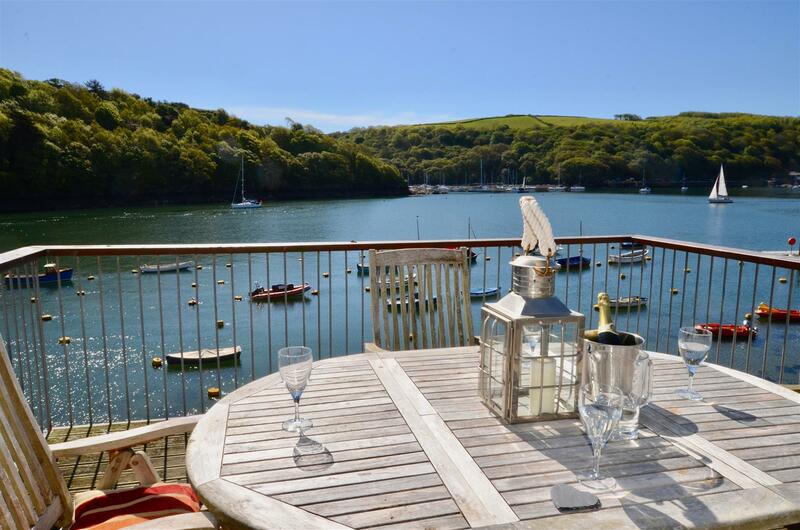 The exterior of the house gives nothing away of what is hidden inside or the exceptional and spectacular views that it enjoys. 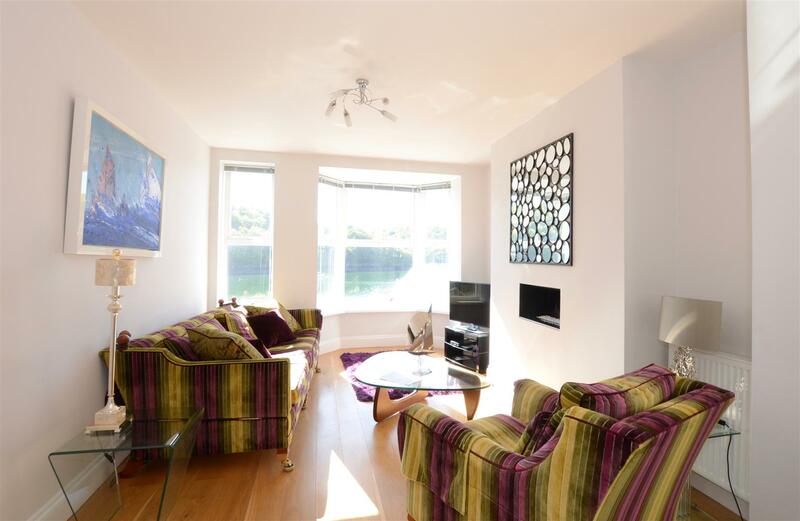 Set out over multiple levels which provide each of its principal rooms with the advantage of the wonderful views of the river. 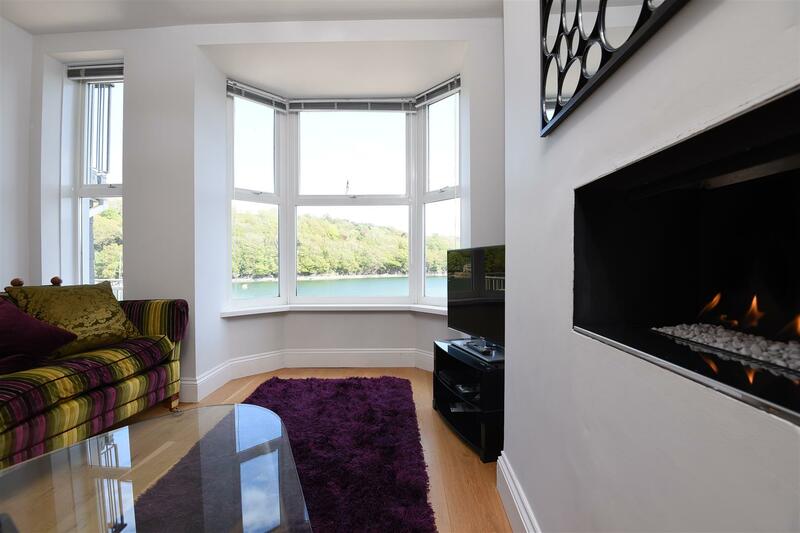 At street level is a beautiful sitting room with a fabulous bay window and excellent views. 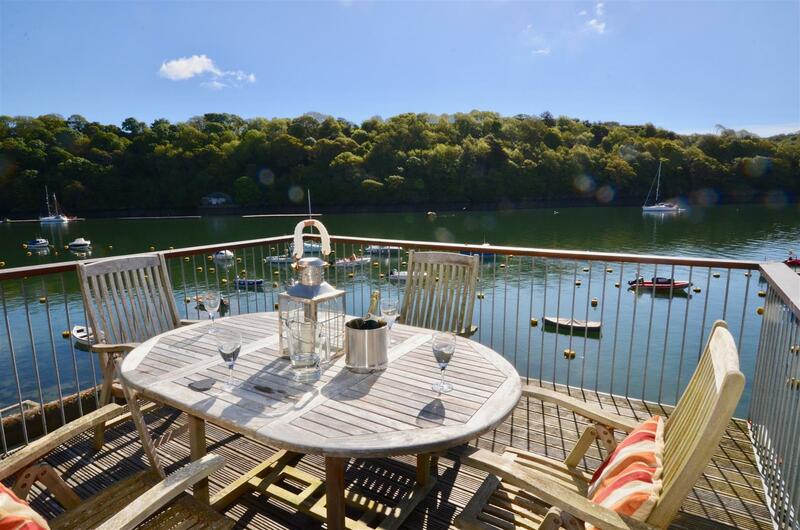 The floor below takes you to the spacious kitchen/dining floor, which opens out on to the superb and vast timber entertaining deck that is of surprising proportions and provides the property with its exceptionally generous outside space, a real rarity for a waterfront townhouse in Fowey. 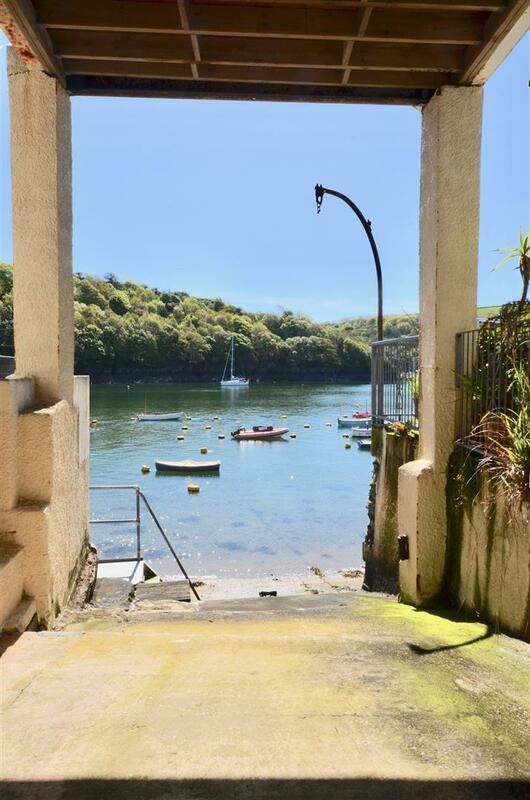 The breathtaking panoramas up and down the river run all the way from the Bodinnick Ferry upstream, across the mouth of Pont Pill and out to Polruan and the mouth of the river. 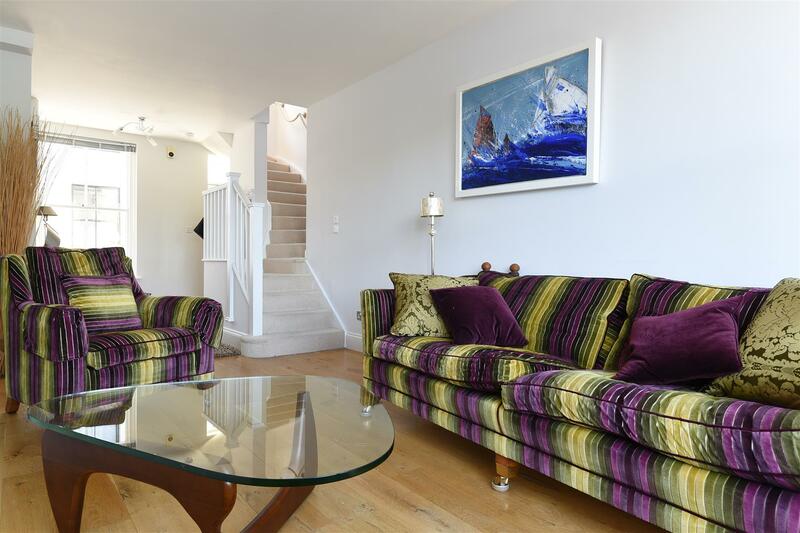 Four bedrooms are spaced over multiple floors, providing them with considerable privacy. 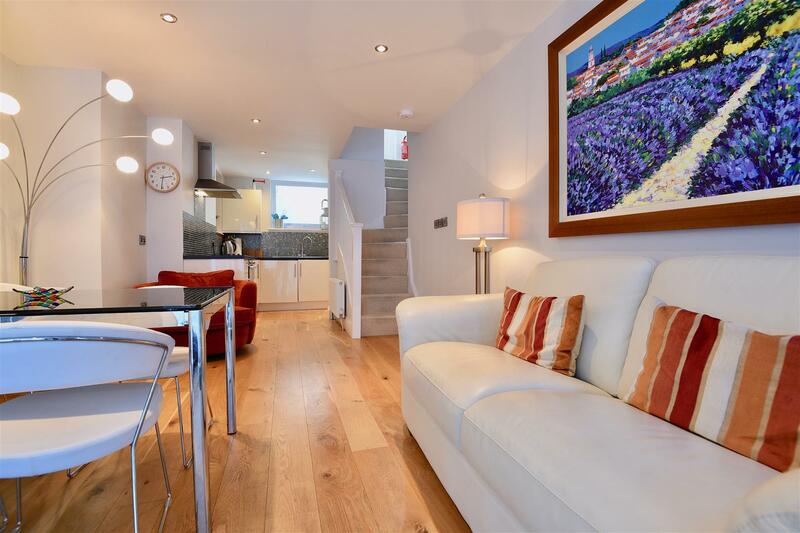 The master bedroom has a lovely bay window and en suite and bedroom 4 is located on the same floor which is an ideal dressing room, office or occasional bedroom. 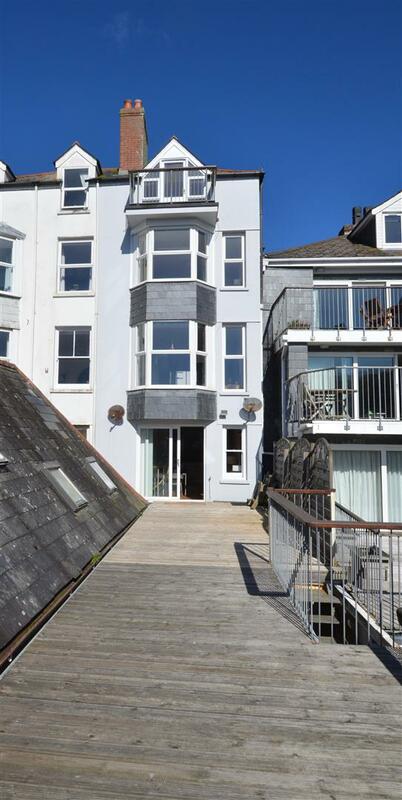 The other two bedrooms are also en suite and the top floor enjoys a lovely lean over balcony and so guests are spoilt for choice. 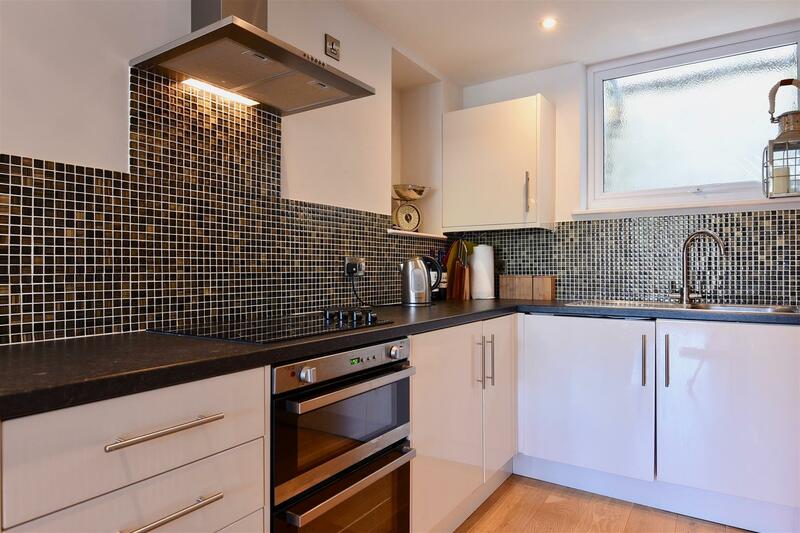 At the front, the property it has the excellent advantage of the road being wide enough to pull in a car and drop off any belongings or shopping. 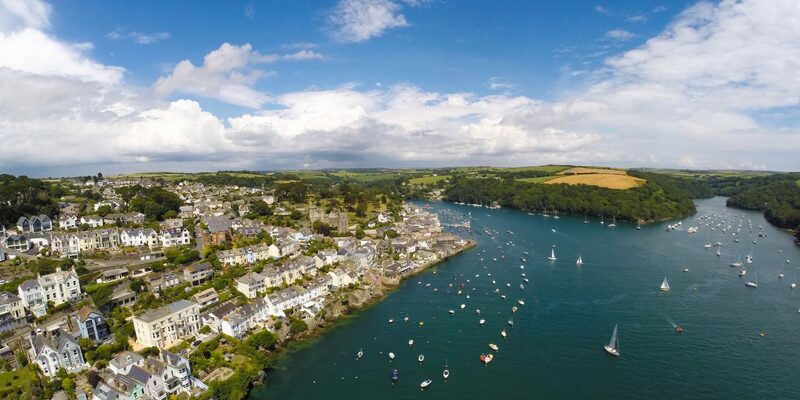 Fowey has for many years been renowned as a sailor’s haven due to its fine waters and interesting coastline to explore. 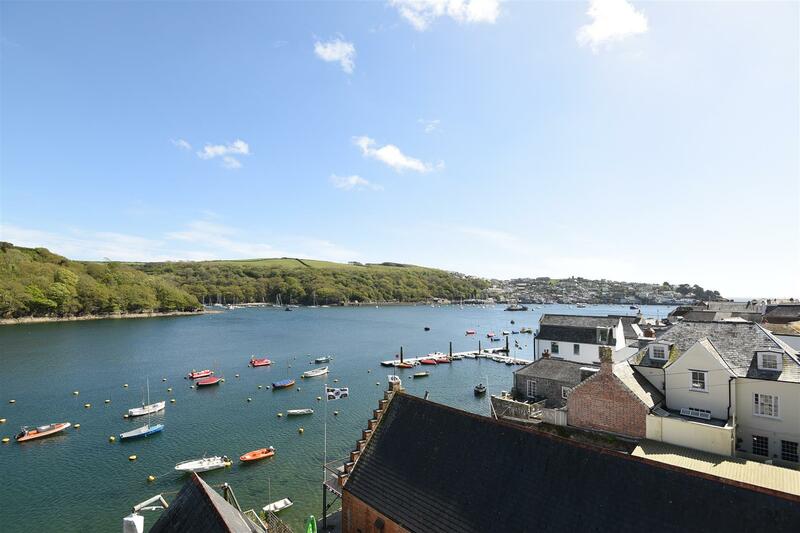 It is the ideal location not only due to its stunning position on the beautiful Fowey River but also because of its interesting architecture along with its numerous excellent restaurants, lifestyle activities, pubs and shops. 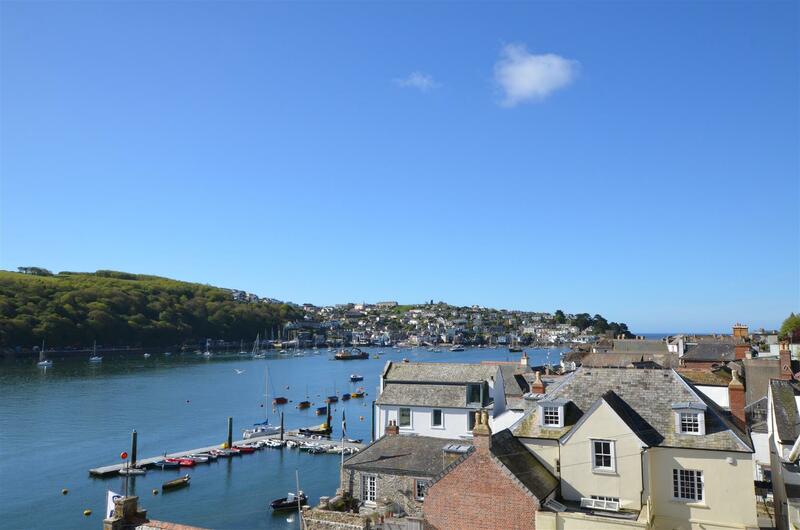 Fowey Harbour is well known for its safe anchorage, excellent sailing facilities and its boat building heritage. 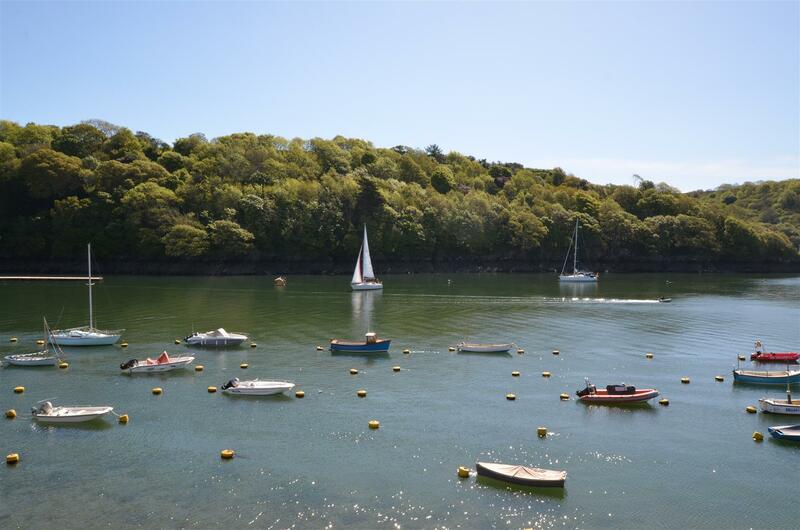 Throughout the summer, it is always bustling with numerous interesting river and sea-going vessels alike. 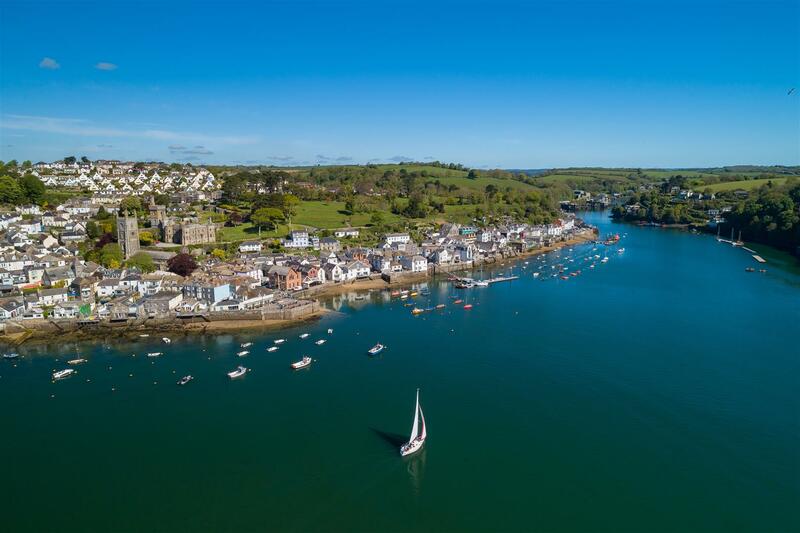 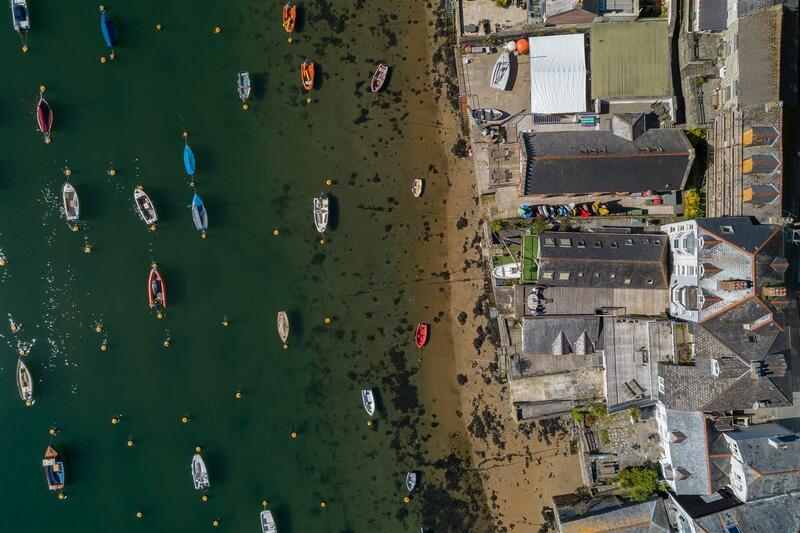 The town plays host to a number of major cultural and maritime events including the renowned Daphne Du Maurier Literary Festival and Fowey Royal Regatta. 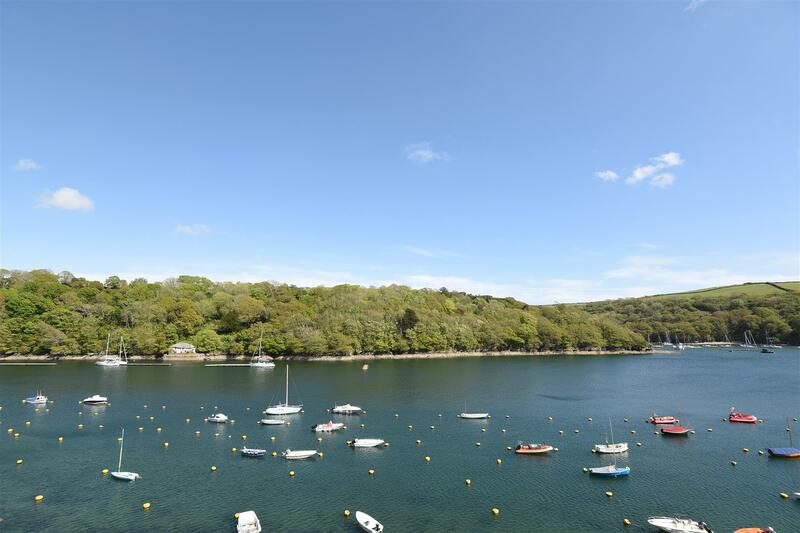 The Fowey River itself offers many very places to explore, with the beautiful Pont Pill Creek, Ready Money Cove and Polruan all accessible by water or car from the property. 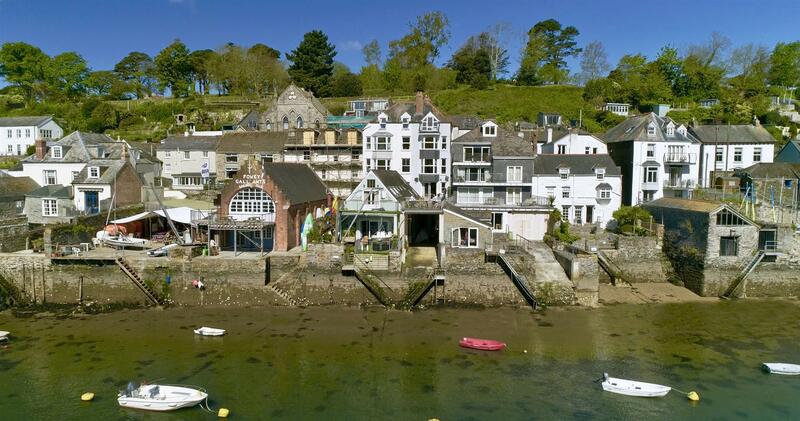 The setting in the town makes dining out a must with so many excellent cafes, bars and restaurants as well as great shopping among the many interesting boutique shops. 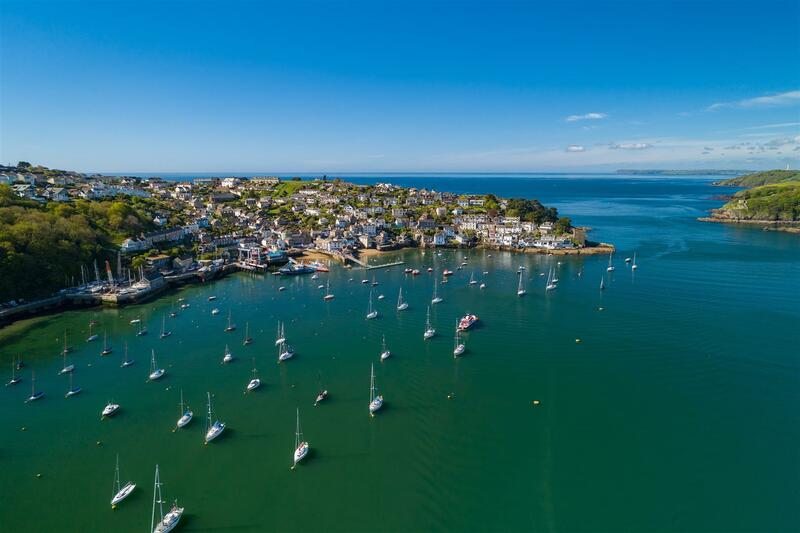 If you enjoy the great outdoors, then you will love Fowey with The South West Coastal Path offering superb walking with breathtaking scenery of Cornwall’s magnificent coastline. 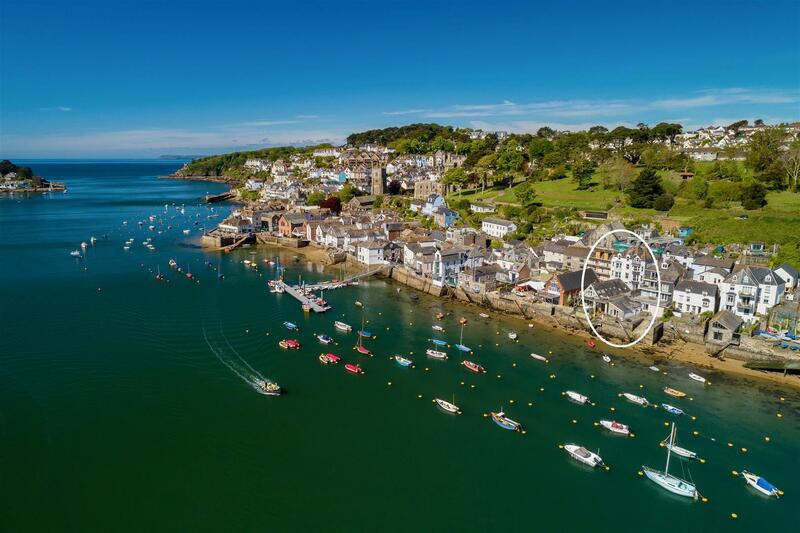 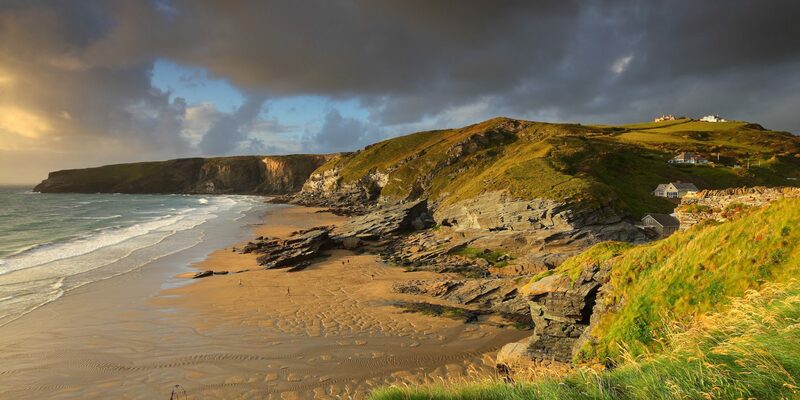 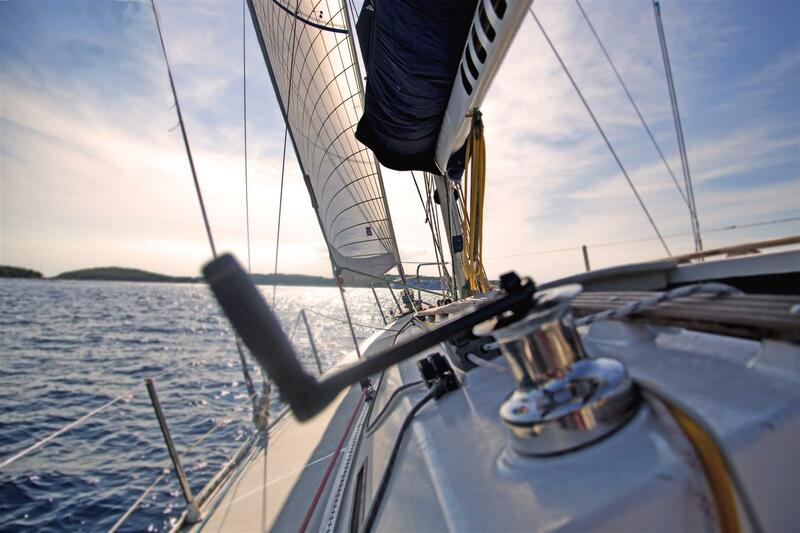 For the non sailing water sports enthusiast there are numerous other activities on your doorstep including: kayaking, paddle boarding, water skiing, windsurfing, power boating and coasteering to name but a few as well as a superb beach at Readymoney Cove.